Only three in five children in Enemay are enrolled in primary school, and fewer than half attend secondary school. 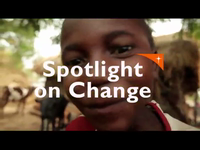 Many children are taken out of school or choose to leave so they can work to support the family income. Quality of education is poor and buildings are substandard, which contribute to low enrollment. It is a struggle to find quality medical care in Enemay because travel time to the nearest health clinic is almost two hours by foot. Common health problems for children include parasites, diarrhea, and malaria, which can become life-threatening when a child is malnourished. Families in Enemay struggle to feed their children with low crop yields. Poor soil management and deforestation decreases soil fertility, leading to soil erosion and thus impacting the ability to grow nutritious food. Also, families follow labour-intensive, low-productivity traditional practices to grow grains like teff, rice, and millet. Beyond agriculture, families have few options for generating income. HIV is on the rise and threatening to leave a generation of orphans. Community knowledge on how to prevent infection is low, as there are only two counseling and testing centres in the region. Less than half of the households in Enemay have access to safe water. Many families get their drinking water from unprotected sources such as rivers, springs and ponds, exposing children to waterborne diseases. To get safe water, women and girls must walk significant distances, which means that girls often miss out on attending school. Only one in 10 households has a proper latrine, and unsafe disposal of waste continues to contribute to the spread of disease. Enemay (En-eh-my) is a community with a population of about 250,000, located 265 kilometres northwest of Addis Ababa, the capital of Ethiopia. Enemay's geography consists of plains, mountains and gorges. More than 70% of the land is cultivated and the rest is pasture or bush land. Less than half of the community is accessible by road. Telephone service is available in the town centre, along with the region's single post office and bank. In this community, men are considered breadwinners and women are responsible for all the household duties. 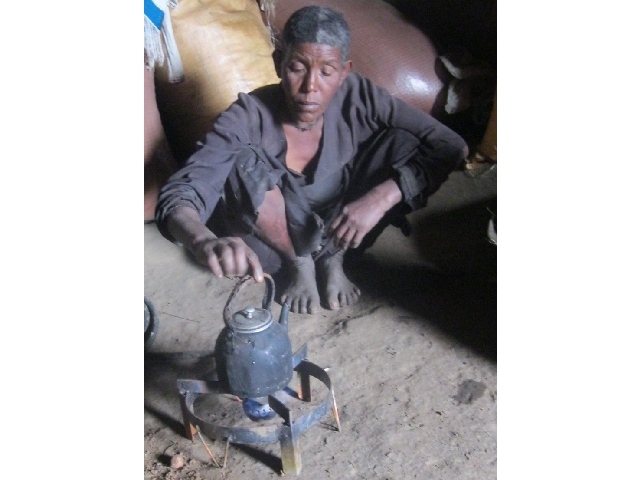 It is encouraging that community members who belong to a single ethnic group " the Amhara " have lived in peace for many years. Children in Enemay have not been exposed to major conflict.